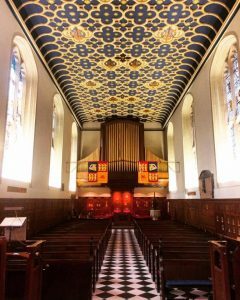 Hopefully the loyal followers of this blog will have correctly assumed that the delay in publishing this, the fourth entry, has been caused by a packed out and exciting choir schedule (as well as the odd essay getting in the way). 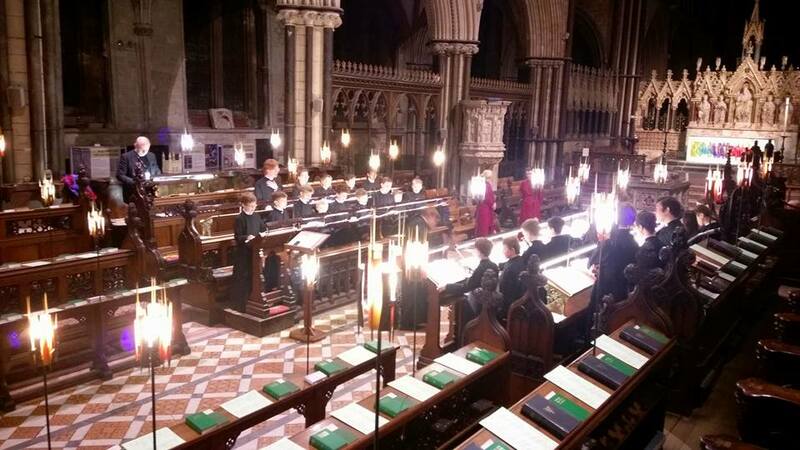 The past three weeks have seen the Mixed Choir tackle a performance of Oscar winning composer Rachel Portman’s canticles during an Evensong which she attended; a Requiem Mass for All Souls; and two joint evensongs with St Peter’s College Chapel Choir and the Chamber Choir of Canford School respectively, alongside all our usual chapel commitments. However, two external events stand out as highlights in what has been a busy term so far. 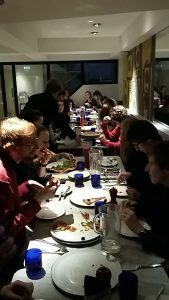 On Wednesday of 6th week, members of the Mixed Choir were escorted by Oxford Tube to London by our resident grown-up: Martin, a Computer Science DPhil student [Ha! “Grown up” – Ed.]. The ensuing battle with Stagecoach and the actual tube was eventually won, with the choir arriving only 40 minutes late to rehearsal in the beautiful Queen’s Chapel of the Savoy. The concert, featuring a variety of music for the season of Remembrance including Fauré’s Requiem, was completely sold out some days beforehand, perhaps due to the success of our concert in the same venue almost exactly a year ago. There was particularly strong representation from the staff of Give a Kidney – One’s Enough, who we serenaded on the occasion of their charity’s 5th birthday (at the urging of the concert organiser). 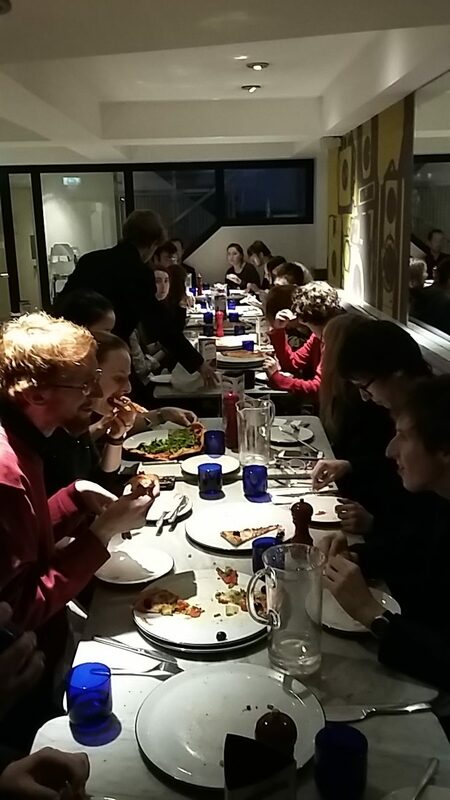 20 hurried pizzas and a well-received concert later, and it was back home to Oxford. Till next time, Brandenburg Choral Festival! The demand for Worcester College Choirs from external venues continued this week with the Boys’ Choir day out to sing evensong at Worcester Cathedral, a particular favourite of choir since our #worc2worc trip there for a few days this August. 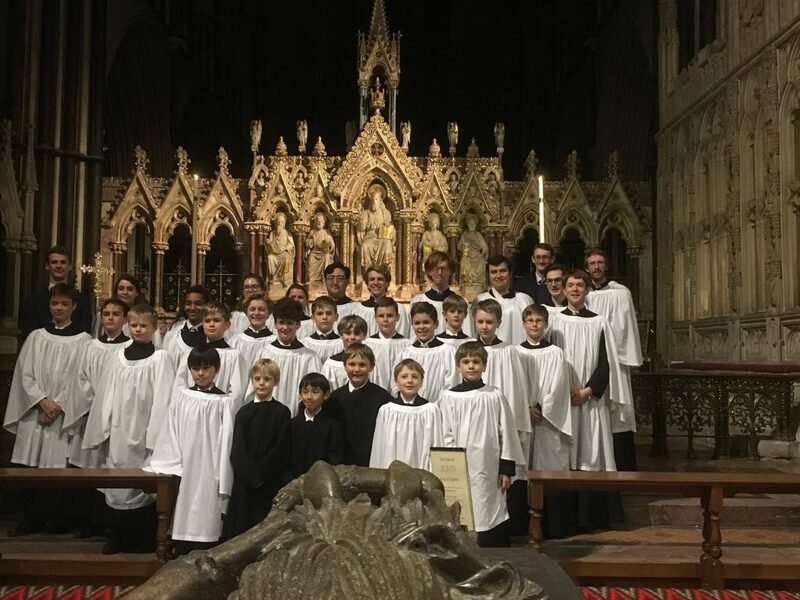 With music by Sumsion and Britten (on what would have been the latter’s 103rd birthday), evensong was very well-received and enjoyed by all, particularly the boys who had the afternoon off school (always a bonus) despite having to travel in the minibus while the choral scholars took the luxury of the train. All in all it provided a great trip out, bringing to a close this term’s series of choir ‘on the road’ trips.